Stress, The Gut, And A Nourishing Recipe! Sometimes we can recognise when we are stressed; a tragic life event occurs such as the death of a family member, a job loss or a relationship breakdown. 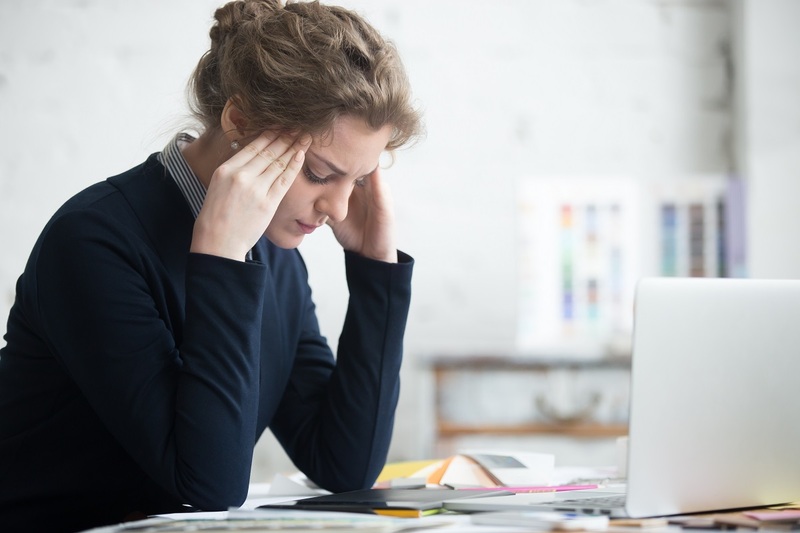 Other times it is less clear that we are stressed; like when we’ve been working long hours for weeks or months at a time and it becomes ‘the norm’. The current societal climate rewards ‘being busy’ and some of us think we thrive on being busy. But it’s like using a credit card. At some point you’ll have to pay it back and if you wait too long, you’ll also have to pay a whole lot of interest on that credit card. Unfortunately, being busy for extended periods of time takes a toll on your body, even if you can’t see it immediately. Physical Stressors – working long hours, exercise, temperature changes, infections, injuries, structural strains, pregnancy and birth. Chemical Stressors – toxin ingestion/exposure, heavy metals, pathogenic invasion, nutrient deficiencies, allergens, dehydration. Emotional Stressors – job loss, relationship issues, abuse (past or present), financial worry, career pressure, job insecurity, life purpose uncertainty, anxiety, depression, isolation. We need to remember that stress is a matter of perception. What one person rates as a 10/10 and sends them into a complete meltdown, another may rate at 3/10. Just because your best friend breezed through being made redundant, doesn’t mean you’ll be the same. And that’s OK. We’ve all had completely different life experiences and therefore, we will all respond to stressors very differently. Some stress is good for us. It’s called eustress and can give us the drive to achieve our goals and we are designed to deal with some stress because our bodies are fabulous at using a triage system to deal with it. When we experience an immediate threat, our sympathetic nervous system is activated which causes our heart to pump faster, our pupils to dilate, and our reaction times to increase. Now, this is awesome if we need to run from the threat. But, as with most things in the human body, there is an equal and opposite reaction. The immune system is suppressed because you need to survive the threat more than you need to fight off that cold virus, your fertility is squashed because you don’t need to make a baby right now and your digestion shuts down because you don’t need to digest that burger you just ate! Now, go back to the three types of stressors and count how many you are experiencing right now. Your body doesn’t differentiate between a threat to your life and a threat to your job. They both activate the sympathetic nervous system. Once you are no longer under threat, your body should go back to homeostasis (a state where the body is in balance) – your immune system and fertility should be reactivated, and you should be able to digest that burger. But if you’ve been stressed for days or months or years, how will you ever truly get back to homeostasis? Stress is unavoidable. However, the good news is that our response to stress is something we do have control over. While a lifetime of conditioning may cause us to react automatically, by taking a moment to breathe, we can begin to take control of our responses. Stress also plays havoc with our gut microbiome. Our microbiome consists of bacteria, viruses and fungi and much of our physical and mental health depends on maintaining a good balance of these gut bugs. Communication between our brain and gut works both ways which means a healthy gut helps us have a healthy brain. Stress, along with a standard western diet, smoking, low fibre intake, some pharmaceutical medications (like antibiotics) and alcohol are just some of the things that can deplete our gut of the beneficial bugs. 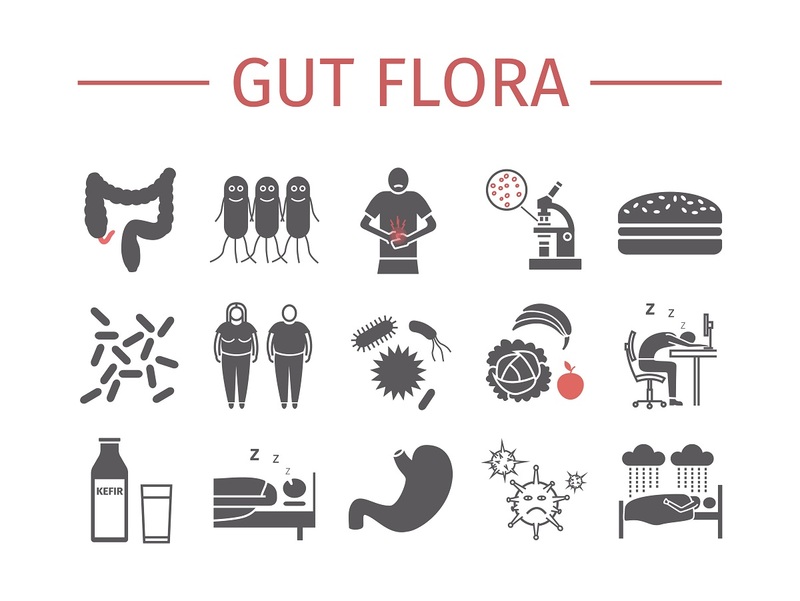 So how do we optimise our gut microbiome and alleviate some of the stress in our life? Eating well – eat the rainbow. Eat more plants and foods in their natural state. Eat less sugars and processed foods. Introduce bone broths (see recipe below) and fermented foods into the diet and cut out soft drinks. Be considerate – to yourself! When something stressful happens, remember to take a moment before reacting on autopilot, and consider “will this matter in 5 minutes, 5 days or 5 years?”. Worrying and stressing about what has happened won’t actually change the outcome. So, take a few deep breaths and visualise how you might be able to consciously respond in a way that will contribute to a resolution. Exercise – join a class, go for a brisk walk with a friend or check out YouTube if you can’t leave the house. Did you know that just 60 minutes of yoga can increase a neurotransmitter called GABA which helps reduce anxiety and improve sleep? At Balance Complimentary Medicine, we have an amazing team of natural health practitioners who can work with you to reduce your stress and optimise your gut health. 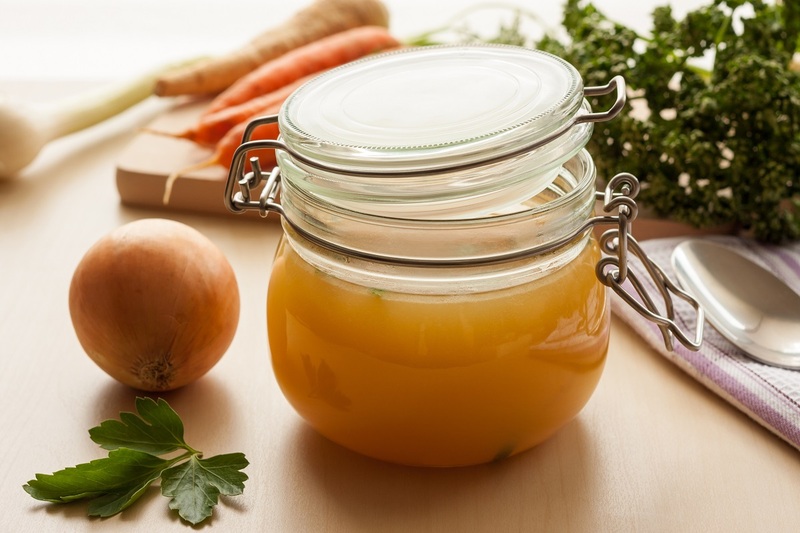 So, give the bone broth recipe a go and comment below on how you went! *Use organic or free-range produce wherever possible. Broth can be used as a warming drink on its own or as a base for soups and stews or even to cook your brown rice or quinoa, instead of water. 1-2kg organic beef bones or 3 chicken carcases or 1-2 kg chicken wings – if you have the time, roasting these bones first at 220˚C for 45 mins will intensify the flavour. Place all ingredients into a slow cooker. Cook on high for 6 hours – skimming the scum that rises to the top occasionally. Cook on low for another 18-20 hours, topping up with filtered water as needed. Remove from the heat and allow to cool slightly. Strain the solids from the broth and let the broth cool to room temperature. Keep in an airtight container in the fridge for up to 5 days or freeze in portions so you can take out as needed. *If you don’t have a slow cooker, use a large sturdy pot and cook on stove top on low for 3-6 hours. Using the recipe above – omit the bones and replace with 4 cups of sturdy green leafy vegetables such as silver beet, or kale.